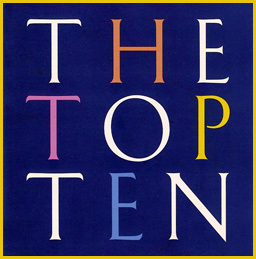 Welcome back to this week's Top Ten! With Summer in full bloom around most of the world, all my fellow loungers are enjoying their favourite time of the year. Vacations, perfect for lounging, have left offices and places of business temporaily short-staffed while sunseekers hit the beaches. Of course, it goes without saying, that the perfect soundtrack to the summer is the sounds of chillout and jazz, and what better place than here at This is Lounge to hear that. The Top Ten this week is chockful of Summer sounds from artists like Giacomo Bondi, Lemongrass, Cantoma, and Afterlife. To top things off, we have a new Number One this week, as Luederwaldt, through the power of your votes at www.thisislounge.com, has shot up the chart! Congratulations! This week, we see the previous leader, Giacomo Bondi, slip into Number Two, and Cantoma's Just Landed come into Number Three. This week, I believe, also marks the first time that there are not one, but two artists with two songs in the chart at the same time! Cantoma and Emapea, have impressed everyone here that we felt them deserving of both of their tracks being charted at the same time. I hope you will agree. Bubbling Under this week, we have a new addition - Canadian jazz trio Myriad3, and a track from their latest release, Moons. For more information on Myriad3, or any other artist we play, please check out the Artists listing on our website. Thanks for tuning in and making us a part of your Summer. You already know that you'll never find a playlist like ours on Spotify! Thanks for making us the alternative. 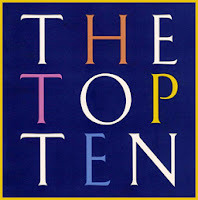 Again, please be sure to vote for your favourite Top Ten track. Your votes fuel this, and we love listener input. As always, thanks for supporting these artists through iTunes, Amazon, or you favourite legal digital retailer.